Microwave oven waveguide cover are the biggest reason why microwave ovens fail, to be more specifically why microwave magnetron's fail - and this failure is preventable. Most people don't even know their microwave oven has a waveguide cover, which should be replaced regular. 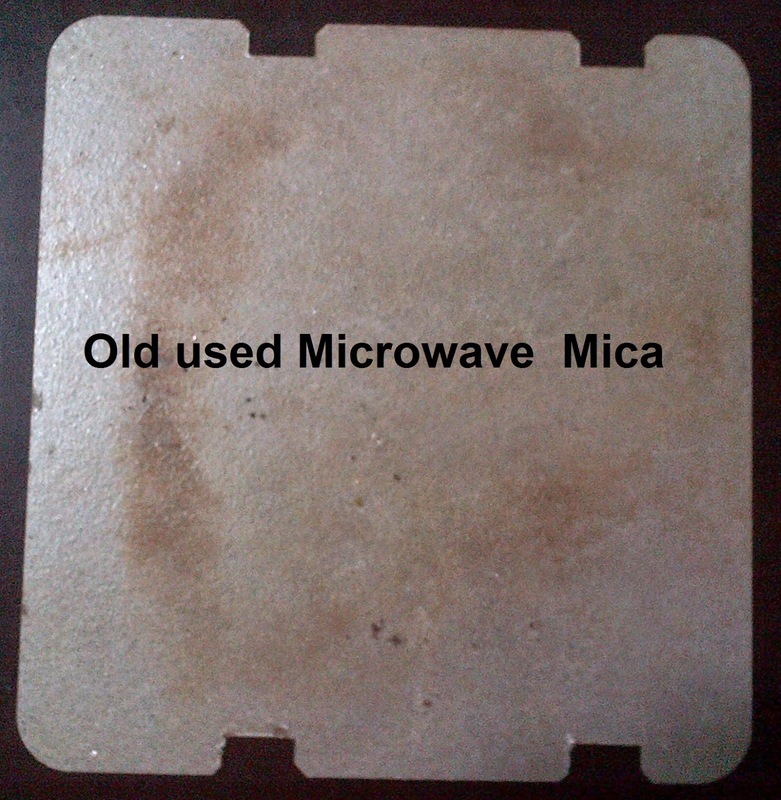 Microwave waveguide cover is made out a `dielectric` material like Mica (or plastic) and it's sole purpose is to protect the magnetron Antenna from foodsplater and other foreign objects entering the wave cavity. (a microwave is a radio on steroids creating radio waves (no ionising radiation) that agitate molecules. The Microwave wave cavity is situated behind the controls on the right hand side or at the top inside the Microwave Oven. It gets even more spectacular when the wave cover starts to burn inside the microwave. 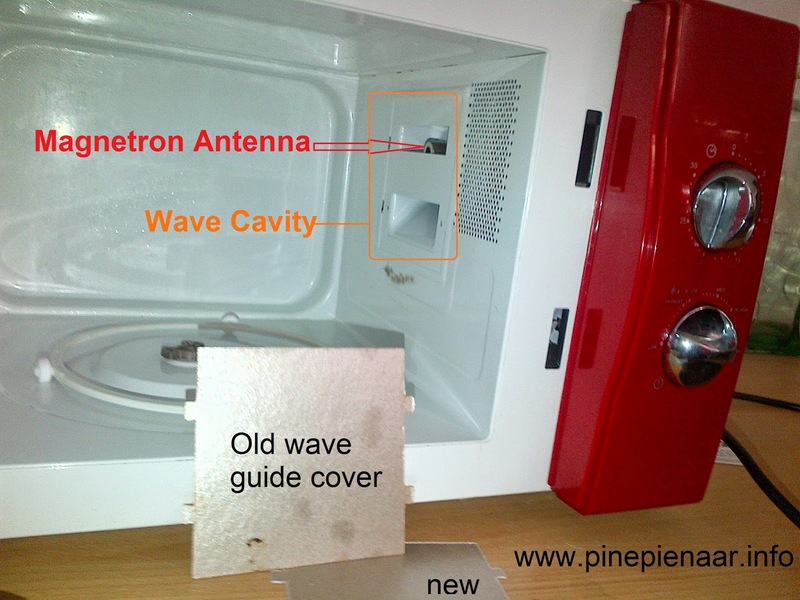 Clean wave-cavity with soft dishwashing liquid but be very careful not to mess water on the Magnetron antenna. Insert new mica - Voila! You can buy a small piece of Mica from most reputable microwave repairs shop. if you take your old mica templet with they will even cut it for you at a little extra fee. Just a word of caution never try to substitute the mica with cardboard, it gets wet from the the steam - THEN. . . . .